Why is Labuan an important location for setting up a company? Low taxes: Labuan is known as a low-tax location and this is one of the main reasons why it is attractive to investors willing to open a company in the region; the corporate income tax rate here is as low as 3%, compared to the standard corporate tax in Malaysia of 24%. 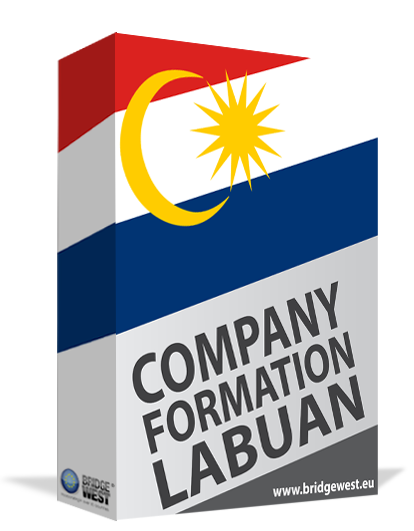 Easy company formation: only one shareholder is needed to open a Labuan company and at least one director; another requirement if for the company to have a local office and agent. Foreign ownership: in Labuan, companies are 100% foreign owned and can engage in any type of business activity, be it trading or non-trading. Confidentiality: Labuan is also a location that allows investors to retain a high degree of confidentiality; there is no need for the mandatory disclosure of the information about the beneficial owners to the authorities although some details about the company directors will be shared. There are just some highlights of the numerous advantages for opening a company in Labuan. Below, our agents describe in more detail some of the important business characteristics as well as the general company incorporation process in Labuan. Our team of specialists in Labuan company formation can offer an in-depth presentation on the Labuan business environment and offer legal assistance for the registration of a new business. The taxation of a company registered in Labuan is performed in a different manner compared to the applicable legislation in Malaysia. In this sense, companies registered here follow the rules and regulations of the Labuan Business Activity Tax Act, which prescribes a 3% tax on the company’s income. Another option for the investor is a fixed tax 20,000 RMN for companies that are involved in trading activities, import and export for example – which are very common because of the geographical advantages. The preferred taxation regime can be chosen by the company owners based on what suits their needs, according to their annual turnover and this option does not have to be made one time only; company owners can choose to change the taxation regime, however, specialized counseling is advised in this case. Our team of company incorporation representatives in Malaysia can offer more details on the corporate taxation applicable in Labuan. Investors can open a Labuan offshore company with both trading and non-trading activities (holding company) and for the investment holding the corporate income tax is 0%. The holding company is only used to hold shares in other companies, or subsidiaries, commonly located in various other countries. Because of this advantageous regime that targets these types of companies specifically, many investors choose Labuan as a preferred location for setting up a holding company. The low taxation regime is one of the top advantages for all foreign investors in Malaysia, however, the advantages are not limited to corporate taxation. The requirements for corporate management and annual accounting and auditing are also ones that can be easily handled. Labuan companies are required to keep their accounting records and to file an annual account report, however, the conditions for non-trading companies are lighter because they are not required to audit their financial statements or to appoint an auditor. The general conditions for auditing can be described in more details by one of our agents who specialize in company incorporation in Malaysia. Labuan companies are required to hold an annual general meetings and to observe the annual government fees, which are common in other offshore jurisdictions and are not a burden for the company owners. The costs for setting up an office in Labuan are low and investors also have the option of working via a virtual office. Some types of companies in Malaysia will require additional licensing, however, this requirement does not apply for companies that offer consultancy services, e-commerce, or trade, import/export activities. Foreign investors who want to open a company in Labuan, Malaysia should know that the company can have 100% foreign ownership and it can be incorporated by only one shareholder. The company needs only one director, who can be the same person as the shareholder. The minimum share capital of a Labuan company is $1 and the registration procedure is simple and it can be performed without the presence of the shareholder in the country. A company in Labuan is required to have a unique business name and some word are prohibited from being used in the company name. When the company engages in certain business activities, like banking or insurance, this can be included in the chosen name. It is important to remember that these types of activities, as well as others are subject to different regulations and will require additional licensing. The name can be expressed using words written in the Latin alphabet. Another important step for opening a company in Labuan is to open a bank account and this is also an easy process as investors can choose to work with a number of international banks that have established their presence here. Foreign investors will generally find it very straightforward to open a bank account for their Labuan company. The fact that Labuan’s legal system is based on the English common laws makes the location even more approachable by foreign investors. The Labuan Business Activity Tax Act and the Labuan Companies Act as well as the other acts on different other legal structures as well as trusts, have made it easier for foreign investors to set up a business in the region. Labuan is an important location to set up a company because of the many advantages it offers to foreign investors and because the business environment was conceived in such a manner that it is advantageous for both trading and non-trading businesses. The minimal company incorporation requirements, the low taxes, the fact that the companies incorporated here can engage in a wide range of business activities, from trading and investment, to professional services. Shipping companies and holding companies, all make this jurisdiction an important location to base an offshore company. Businessmen interested in receiving more details on the main reasons to open a business in Labuan can address our Labuan company formation agents for assistance.